A wise person once said: “How fine it would be,” if an individual who was “about to make a will could go to a permanently established organization … and say, ‘Here is a large sum of money. I want to leave it to be used for the good of the community, but I have no way of knowing what will be the greatest need 50 years from now. Therefore, I place it in your hands to determine what should be done.’” That person was Frederick Harris Goff (see video), lawyer, banker and founder of the Cleveland Foundation. The Cleveland Trust Company’s neoclassical banking hall, which opened in 1908, was topped by an immense stained-glass dome. Tom L. Johnson, a reformer who served as Cleveland’s mayor from 1901 to 1909, helped to shape the city’s progressive climate. 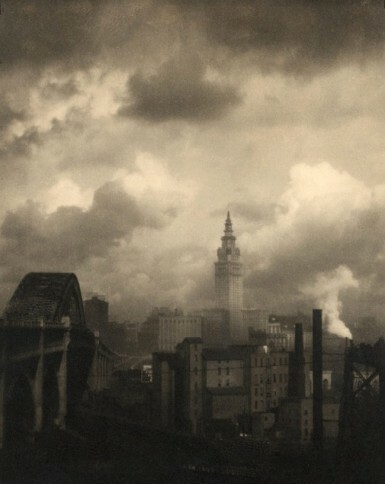 By 1929, when Cleveland laid claim to having the tallest skyscraper in the country—the Terminal Tower, evocatively captured here by famed photographer Margaret Bourke-White—the community foundation movement had spread across America. The year was 1913. Cleveland, Ohio, a Great Lakes city whose shipping, steelmaking and manufacturing prowess had made many of its families wealthy, was on its way to becoming, by 1920, the fifth largest city in America. 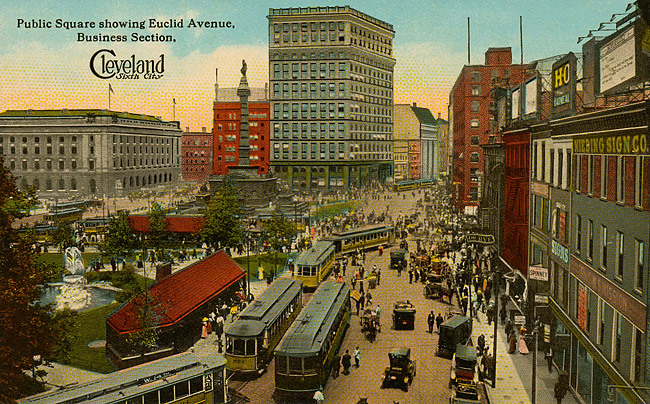 Large numbers of immigrants, arriving particularly from central and southern Europe, continued to pour into the city, attracted by the promise of employment in Cleveland’s booming factories. Many of these newcomers lived in squalor, as the city struggled to feed, house, educate and care for its foreign born. 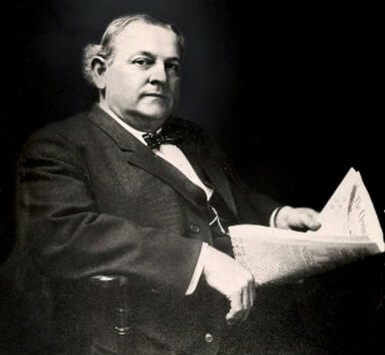 Thanks to the turn-of-the-century election of an American Progressive, Tom L. Johnson, as Cleveland mayor, reform was in the air. During his tenure in office (1901–1909) Johnson, a self-made millionaire, fought for free trade, just taxation and municipal ownership of utilities on behalf of his working-class constituency. 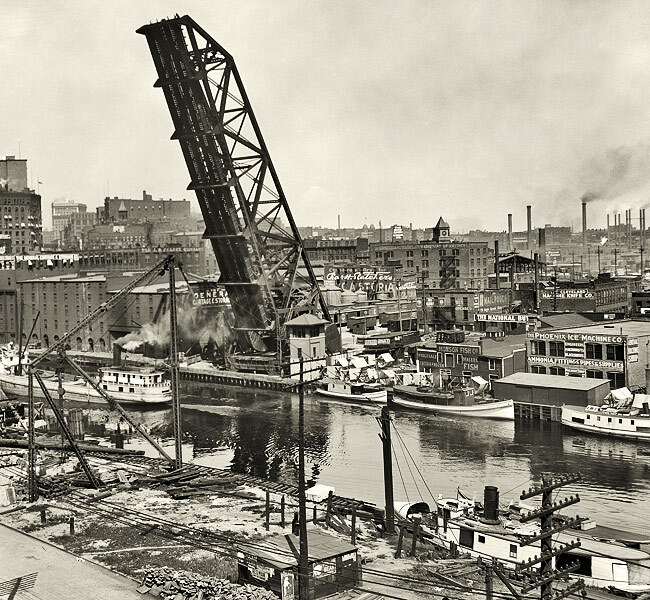 And, in 1913, Cleveland’s large and active charitable sector launched a citywide movement to coordinate charitable giving, modeling its new Federation for Charity and Philanthropy on a model of efficiency well established in the national Jewish community. Also a self-made man, Fred Goff shared Tom Johnson’s empathy for the plight of the common people. Goff had started his legal career as a solo practitioner and become the “super-troubleshooter” at one of Cleveland’s leading corporate law firms. Because of his specialized skills, Goff was appointed trustee of a bankrupt private streetcar company with which the City of Cleveland had battled for control of these critical transportation lines for seven years. In short order, Goff and Johnson negotiated a Solomonic settlement that fairly recompensed the company’s shareholders and honored the spirit of Johnson’s campaign promise to ensure affordable fares. 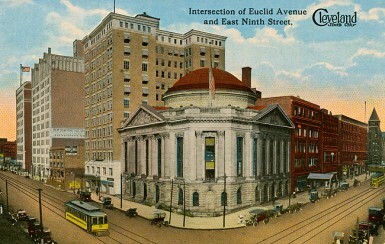 Within two months of the close of the streetcar negotiations in 1908, Goff was approached by the directors of the Cleveland Trust Company, a 13-year-old enterprise that had ambitions of becoming the “people’s bank.” His performance and integrity had so impressed the directors that they asked Goff to become the bank’s first full-time president. Consenting would require the 49-year-old lawyer not only to accept a hefty cut in salary, but also to abandon a profession to which he had devoted some 25 years of his life. Yet, remarkably, Goff viewed the offer as an opportunity to serve the public good and accepted it. In addition to offering normal banking services and making business loans, Cleveland Trust had responsibility for administering the bequests of many large estates held in trusts. The new bank president was reminded afresh of how often provisions for the charitable uses of trust income became obsolete or counterproductive, a phenomenon he had observed in his work as an attorney. He began to dream of breaking the stranglehold that bequests that had outlived their designated charitable purposes exerted on vast amounts of capital. At a time when social needs were great, it troubled him that so much wealth was uselessly held in the icy grip of irrevocable wills. In envisioning this mechanism, Goff not only vanquished “the dead hand,” he also upended the prevailing belief that philanthropy was the exclusive province of the wealthy. His concept of a community foundation endowed and managed by the members of a community for the benefit of a community was much more democratic. The Cleveland Foundation came into being under the sole trusteeship of the Cleveland Trust bank on January 2, 1914. Speaking to the City Club of Cleveland 12 years later, Ralph A. Hayes, the director of the New York Community Trust, prophesied that Goff’s invention would one day be deemed Cleveland’s most important contribution to the ideas of the world. At the time of Hayes’s speech in 1926, more than 55 community trusts had been created in cities large and small across this country. Goff’s concept had also begun to spread internationally, to Canada, where the Winnipeg Foundation had been established in 1921. A century after the Cleveland Foundation’s invention, more than 1,700 community foundations operate around the globe. Small wonder that, in 2001, the Chronicle of Philanthropy, the field’s newspaper, cited the inception of the Cleveland Foundation as one of 10 seminal events that shaped the nonprofit world in the 20th century.